Whiskey Aged in Beer Barrels? The popularity and demand for barrel-aged beer has grown a lot over the last several years. 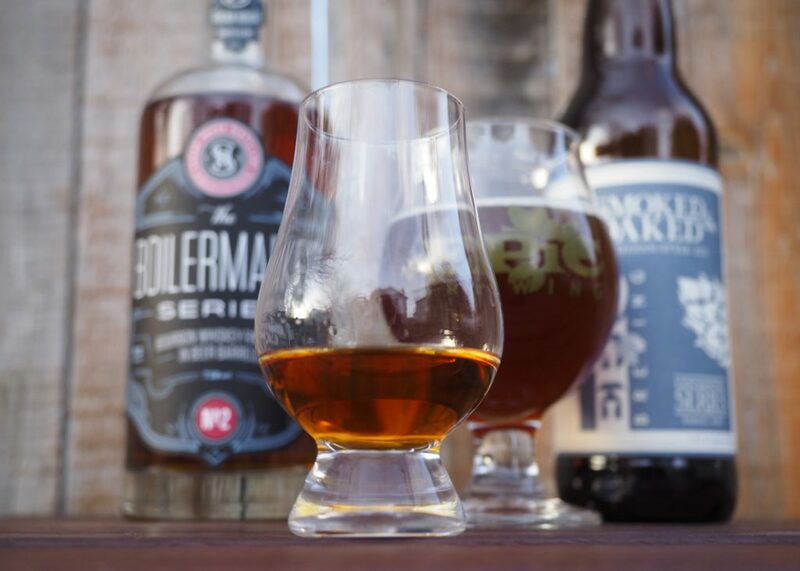 Our ever evolving palates crave more complexity in flavor and mouthfeel, which can be achieved by infusing beer with the essences of oak barrels previously occupied by other spirits like whiskey. Now distillers are completing that circle by using barrels formerly inhabited by beer to finish whiskey. Whiskey aged in beer barrels? It’s a mad, mad world. Let’s go back to before all of the action, when the barrel was just a virgin. The oak barrel is first charred to a specific degree desired by the distiller, then filled with clear alcohol fermented from a mash of grains and distilled to the proper proof. 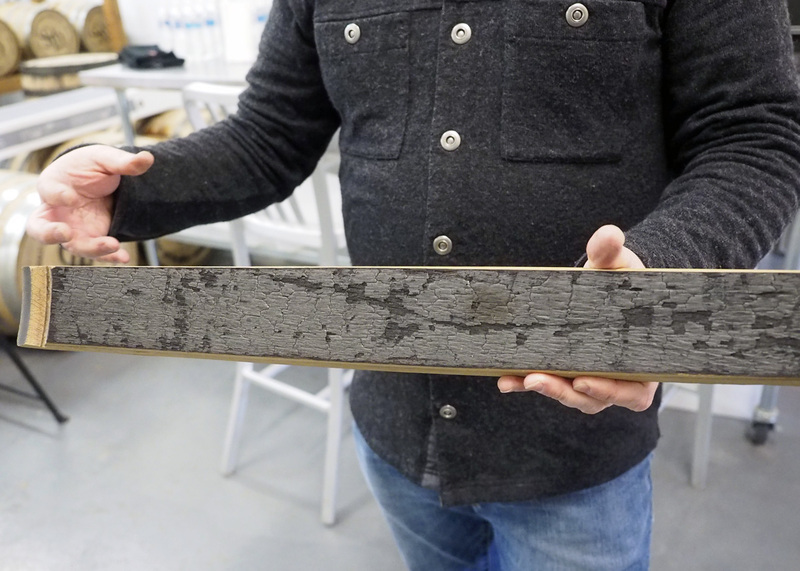 After spending any length of time in a charred (usually new) oak barrel, it becomes whiskey. Some of the flavor of the finished spirit can be attributed to its mash bill (the sum of all grains used) and the yeast used in fermentation, but the majority comes from the barrel. As it ages, the alcohol soaks into the wood, permitting a transfer of flavor and color from its vanillin and tannins. The barrel also allows oxygen in, which softens and mellows the whiskey from its harsher origins straight from the still. Carbon from the char acts as a filter and also aides in this. Once the barrel is emptied, it’s journey might lead to a brewery (or homebrewer). Here, it becomes the vessel for a beer that will now benefit from many of the same qualities that the whiskey did. The beer will also mix with the residual spirit left in the barrel, adding yet another layer of complexity to its flavor. With each use, the wood becomes a little less potent and its characteristics more subtle. Breweries may start with a heavier beer like an Imperial stout, but graduate to somewhat lighter beers with each use. Now, let’s head back over to the distillery. They’ve made a fresh batch of whiskey and matured it in new charred oak barrels as usual. To make things a bit more interesting, the whiskey can be finished in a barrel that once held another spirit (like sherry, rum, or brandy), or it can go into a beer barrel! The very same barrel that started with whiskey and then contained craft beer, could again house whiskey. The whiskey will now mingle with the lingering beer and the flavors it left behind in the barrel. Is your head exploding yet? The concept of whiskey finished in beer barrels isn’t all that new, but it hasn’t been widely done. Now that there are so many more breweries using barrels, the practice could become a trend. The Jameson Caskmate series includes versions of their Irish whiskey aged in barrels that held stout and IPA (India Pale Ale). Glenfiddich has also used IPA casks while Grant’s chose malty ale casks to finish Scotch whiskies. 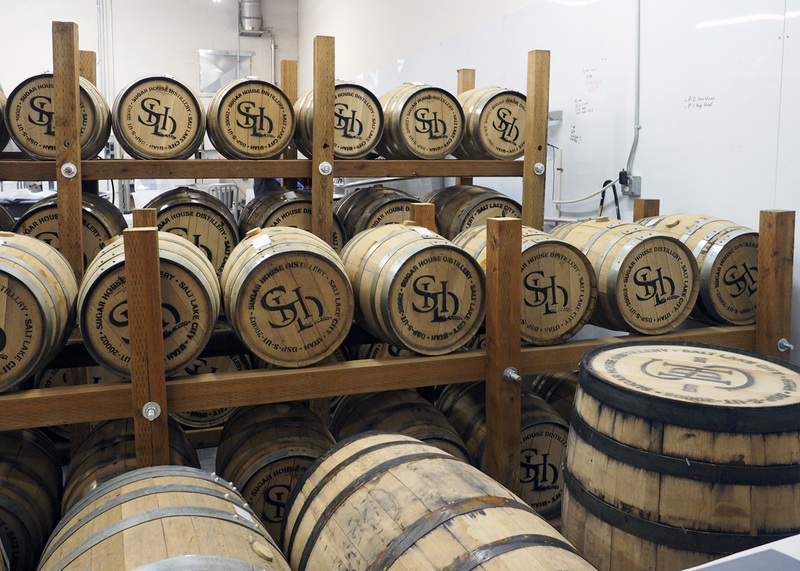 Salt Lake City’s Sugarhouse Distillery has now experimented with two different local beer barrels to finish bourbon. 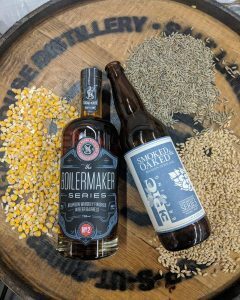 The Boilermaker Series from Sugarhouse Distillery starts with its house bourbon made from a 75% corn/20% rye/5% malted barley mash bill. The bourbon is matured in a series of casks starting with the smaller quarter size, progressing to a half, then full-sized cask. Smaller barrels “age” the whiskey more quickly as the surface area of the wood is greater in proportion to the volume of the spirit inside. This technique allows the bourbon to gain a fuller flavor in a shorter amount of time. The Sugarhouse bourbon has notes of vanilla, sugar cookie, spice, light caramel, and grain. The finished whiskey spends an additional 8-9 months in a beer barrel to complete the process. 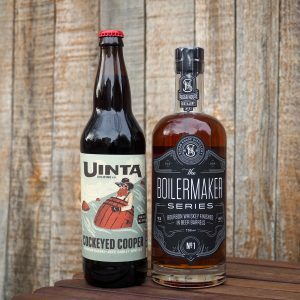 In the first Boilermaker offering, Sugarhouse obtained a barrel (of Buffalo Trace origins) from Uinta Brewing that had contained Cockeyed Cooper barley wine. This beer has rich flavors of vanilla, dark chocolate, dried fruit, and oak. Because barley wines use a good amount of malt to achieve the high alcohol content, they also have a lot of hops added to balance the sweetness. I’m told that Cockeyed Cooper actually had hops added to the barrel while it rested there. For this reason, hops are the main addition in both the aroma and flavor of the bourbon. A prominent floral, honeysuckle tone and some hints of the dark fruit malts give the bourbon a delightful complexity. The second in the series utilizes a (Heaven Hill) barrel from Epic Brewing that held the Belgian style Smoked and Oaked. The smoked cherry wood malts add smokiness to sweet caramel and vanilla with traces of wood and dark fruits courtesy of the Belgian yeast rounding out the flavors of this beer. The bourbon benefits from the fruitiness of the Belgian yeast and develops a richer caramel flavor with traces of smoke after sharing a cask with Smoked and Oaked. I also noticed a slight floral aroma and flavor that I attribute to hops. 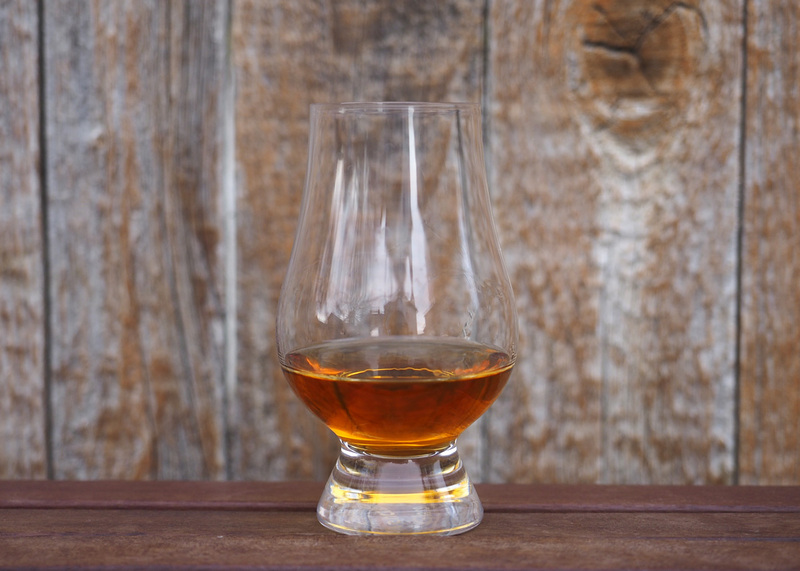 Although whiskey essentially starts out as beer before being distilled, unlike beer there are no hops added. My guess is that any whiskey finished in beer barrels will end up with some suggestion of the hops used in the beer. If you haven’t tried the Boilermaker Series from Sugarhouse Distillery, there are still bottles of the second release available for sale at the distillery. Or ask for it at your local whiskey bar. 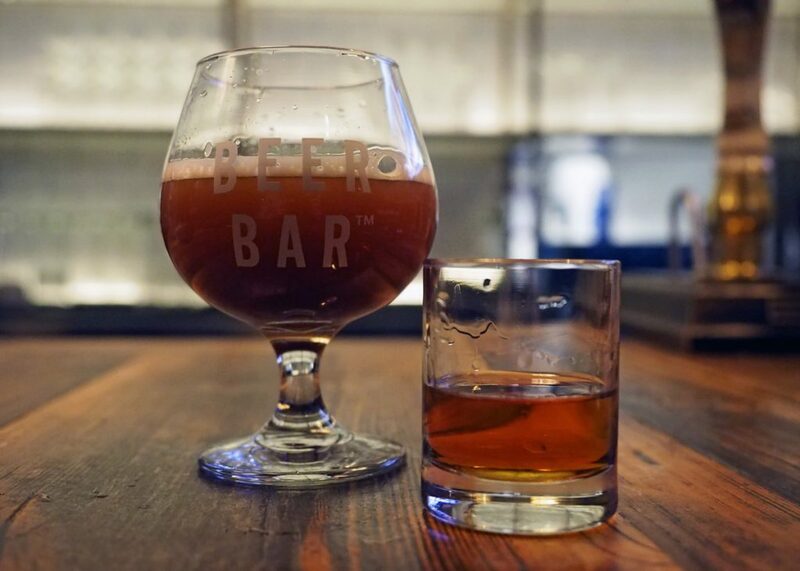 At Bar X and Beer Bar in downtown Salt Lake City, you can sip both the bourbon and the Smoked and Oaked beer side by side. 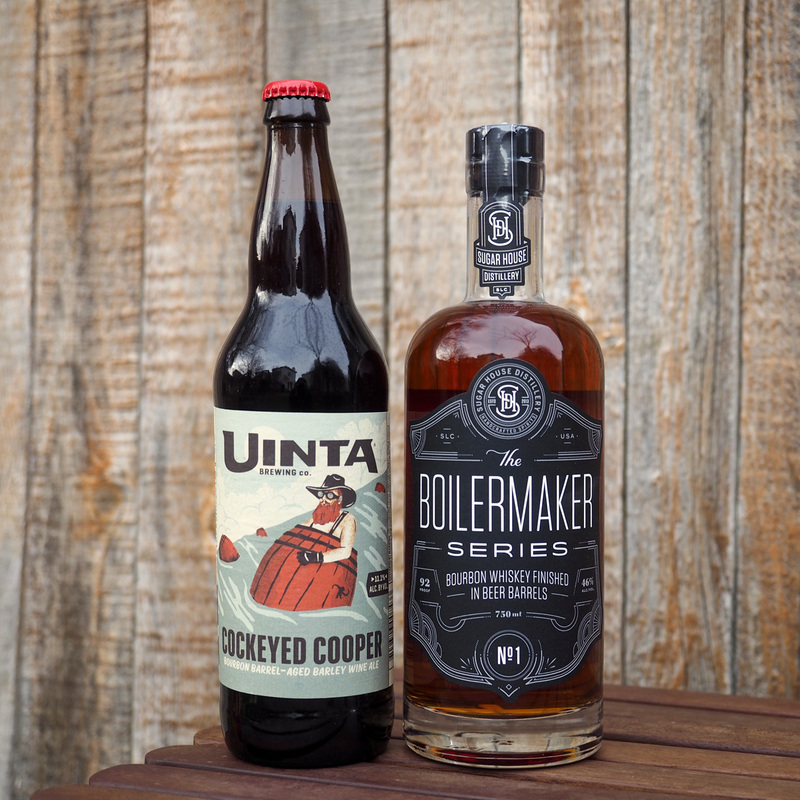 To really get a sense of what the beer barrel adds to the whiskey, try the Boilermaker next to the original bourbon. The first release has sold out, but if you have a friend who’s a whiskey nerd, you may be able to get them to share with you. Also, The Owl Bar at Sundance still has some left. It’s definitely worth the effort to track it down. A third release in the Boilermaker Series is not currently in the works, but will likely happen sometime in the future. 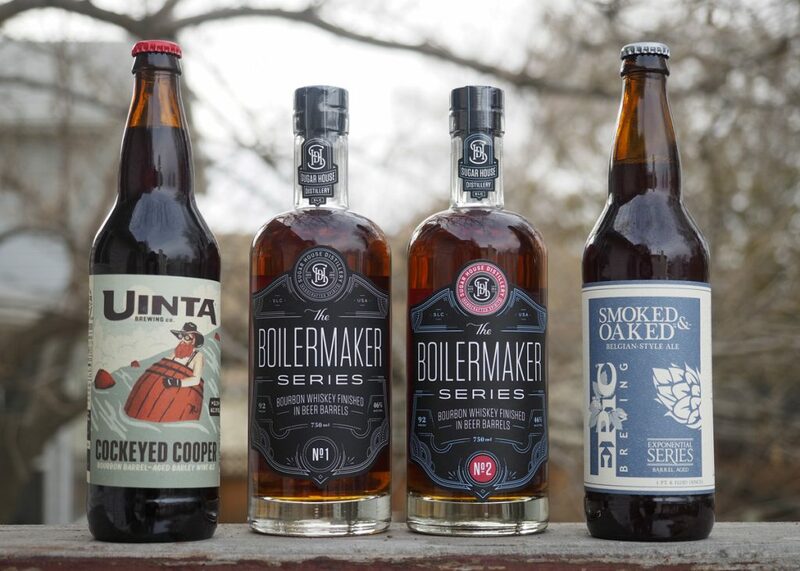 Ultimately, when their production increases, Sugarhouse Distillery would love to have their own barrels go to the brewery and then come back again for the Boilermaker Series. Whiskey aged in beer barrels is pretty awesome. I look forward to trying more versions, and from what I’ve tasted so far, it seems to be a success. Sometimes complicating things makes for a better, more interesting finish. When it comes to whiskey, beer, and barrels, this couldn’t be more true.